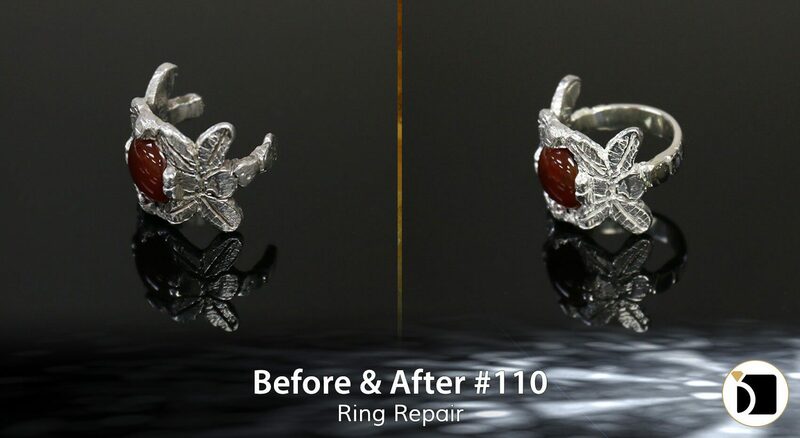 On this edition of the Before & After, we have a silver ring with a red gemstone that had its shank completely broken off. For this repair we had to add a full shank, and reset the stone into its prong setting. It is then all wrapped up with our complimentary clean and polish and it’s good to go!